Good lighting is a critical addition to any outdoor space. Outdoor lighting can create a pleasant ambiance for your space after the sun goes down. It can also highlight the most visually stunning aspects of your home and yard. Lighting enhances the natural beauty of an outdoor space and illuminates important architectural features. Our outdoor lighting products serve a functional purpose beyond increasing the ambiance of your home at night. 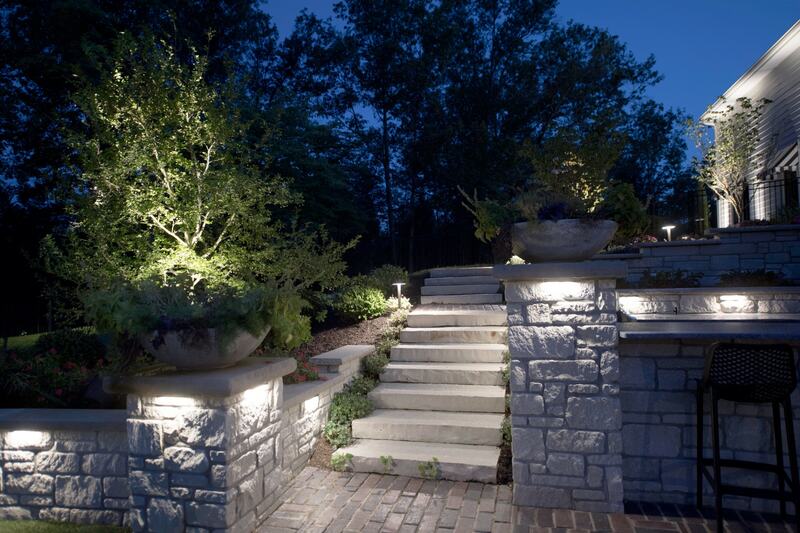 A well lit landscape improves your sense safety and security and give you peace of mind when the sun isn’t shining. Good lighting can illuminate pathways to make a space safer to navigate in the dark or be implemented on a porch or deck to give a space new usability after sundown. Hydro Dynamics Corporation’s Lighting Division offers a wide variety of premium outdoor lighting products to illuminate any space—patio lighting, deck lighting, porch lighting, pathway lighting, and more. From outdoor lamp fixtures to lighting that works seamlessly with the existing features of your yard, Hydro Dynamics has lighting options for the look and feel you desire. If you already have an outdoor lighting system, we now have the ability to retrofit existing systems with LED bulbs that reduce energy consumption by up to 80%. With over 40 years of experience, our experts will work with you to design an outdoor lighting system that enhances the ambiance and usability of your outdoor space. Call today to set up an appointment!